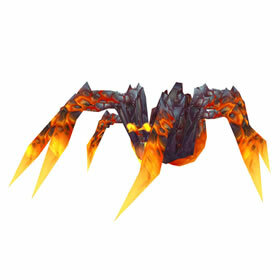 This pet can be purchased during the Midsummer Fire Festival for 350 Burning Blossoms. Burning Blossoms can be obtained by visiting Horde and Alliance bonfires located all across Azeroth, Outland, Northrend, and Pandaria. Each bonfire can be interacted with once per character. Deals 197 Elemental damage each time you take direct damage. Bliz cut the event an hour short of what it said on the calendar. At 11am, over 300 blossoms disappeared from my bags, minutes before I was going to turn them in for this pet. The calendar said 12pm, I've never seen it be wrong before. Got mine today pretty quickly. Do Outland, Pandaria, and Northrend. As well as the one in Deepholm, and the one in the Shimmiering Expanse. If you have the quest unlocked at max level to kill the guy in old outland who is level 70 thats 10 there for a total of 355. It took little over an hour to do. Kind of meh that is only uncommon with the time sink involved to get it. Got mine today. Took about 2 hours during midsummer event. 350 of the Midsummer tokens. Quickest way to get 100 of them is to do other factions capital cities. Click the blue flame in the capital city. You get an item in your back. Click the item to start a quest. Turn that back in at your factions home city for 25 tokens. 4 cities x 25 each is 100. Got the rest from flying to the other outposts. Used free Zygor holiday addon. Pet comes in green. You'll need an elemental stone to make the pet rare. Yet another new holiday pet that doesn't have a unique skin. Looks just like the Molten Hatchling but at least it has a different moveset!